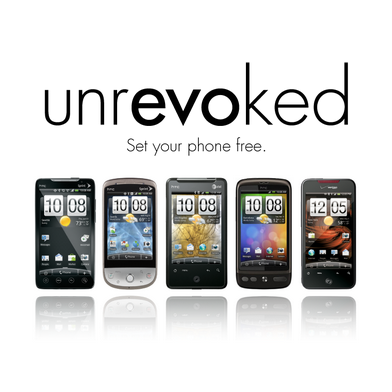 Unrevoked, a tool that brought the ability to run applications that require root and originally developed for the HTC EVO 4G and HTC Hero, was just updated to version 3. 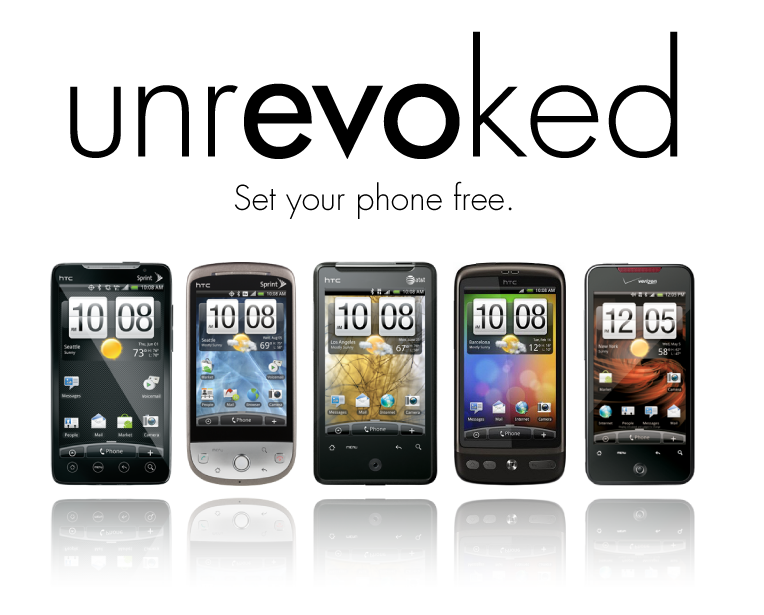 With this new version 3, Unrevoked finally brings a 1-click root solution to the HTC Droid Incredible that also allows you to flash a custom ClockworkMod recovery, custom ROMs, and take backups of your phone with Nandroid Backup. Compared to version 2, you no longer need a previously rooted phone - Unrevoked 3 roots for you. The only thing that Unrevoked doesn't do is unlock NAND permanently, meaning you won't be able to write to the system partition after the OS boots and therefore won't be able to uninstall various carrier installed garbage apps. The tool is available on Windows, Mac, and Linux, which should satisfy pretty much every Incredible owner. Wondering what you could do with root? First, check out our Rooting Explained + Top 5 Benefits Of Rooting Your Android Phone and then head over to 8 Great Apps Every Rooted Android User Should Know About. Trying to figure out what the deal is with custom ROMs? Then visit Custom ROMs For Android Explained And Why You Want Them. If you’re having trouble, check out the FAQ here to see if your question has already been answered. If you still have questions, visit this thread over at xda. Fixed “Communications with phone unexpectedly interrupted.” error occurring on Windows version. Program sets su permissions even when su is present. Add support for Droid Eris. Add the ability to function even without root on all supported phones. Updated to ClockworkMod Recovery 2.0.2.4. Added support for flashing a custom recovery image. Updated to ClockworkMod Recovery 2.0.2.0 (2.0.2.1 on Incredible). Removed Linux root requirement to run (Linux root may be needed if udev rules are not properly configured). Does unrevoked3 give me root? Yes. It previously did not; as of version 3.0, it does. unrevoked3 will replace the stock Android recovery with a custom one, which adds many features including “nandroid” backups, the ability to use custom ROMs, and a greater amount of flexibility and customization of your Android phone. How do I use a custom recovery image instead of the packaged ClockworkMod? You will need to choose a .img file, which is a binary file suitable for flashing. A .zip file will not work and may render your recovery partition inaccessible until you run unrevoked3 with an appropriate image. I'm running Linux and it won't detect my device! Either run the program with root permissions, or add appropriate udev rules to the file /etc/rules.d/51-android.rules. Instructions are available at the Android Developers website. At this time, we are not disclosing the vulnerability we have exploited to unlock the NAND flash. That doesn't seem fair! Android is about open source. In some senses, we agree; but at times, a tradeoff needs to be made. Releasing the source code for this, we believe, would compromise the greater ability to unlock devices like these in the future. Given the choice between sacrificing the liberty of running code on our handsets and the liberty of reading the code by which we unlock it, we feel that the millions of handsets are more important. It is unfortunate that we must make such a choice, and we look forward to the day in the future that no such decision need be made. I found this software useful, and I would like to donate to the team! Thank you for your support. At this time, the team behind unrevoked3 does not accept donations; but we highly encourage our users to donate to the Electronic Frontier Foundation. The EFF performs the important role of standing up for our digital liberties, including the liberties to reverse-engineer devices that we own. If you are able, please consider making a contribution to them so that they can continue to perform this valuable service.